Should You Have an Open House on Super Bowl Sunday? Not everyone cares about football. You can have a successful open house on Super Bowl Sunday. Make your open house a Super Bowl celebration by offering snacks and playing the game. Although you can draw in good business on Sunday, consider unwinding and making it a day for family. Are you ready for some football?! What about an open house? The weekend is primetime for open houses, but what happens when the nation’s most watched football game happens at the same time? Some agents say to take a timeout, while others are going for the touchdown. Take a look at what the industry has to say about having an open house on Super Bowl Sunday. Some people don’t care about the Super Bowl. As Ted Ramirez gently points out, not everyone is a football fan. Having an open house on Super Bowl Sunday can pull in potential buyers who aren’t worried about whether Broncos or Panthers will win. Some people don’t care about the #SuperBowl. There’s no need to cancel an open house. Reduced competition. The Super Bowl is a huge deal, and most people will be at home eating hot wings instead of walking buyers through a property. But for those who squeeze a little time out of their day to work, there can be huge rewards. Carmen Jiminez-Phillips says she’s successfully sold a listing every Super Bowl Sunday for the past two years. Reduced competition on Sunday can earn you big points with sellers and buyers. 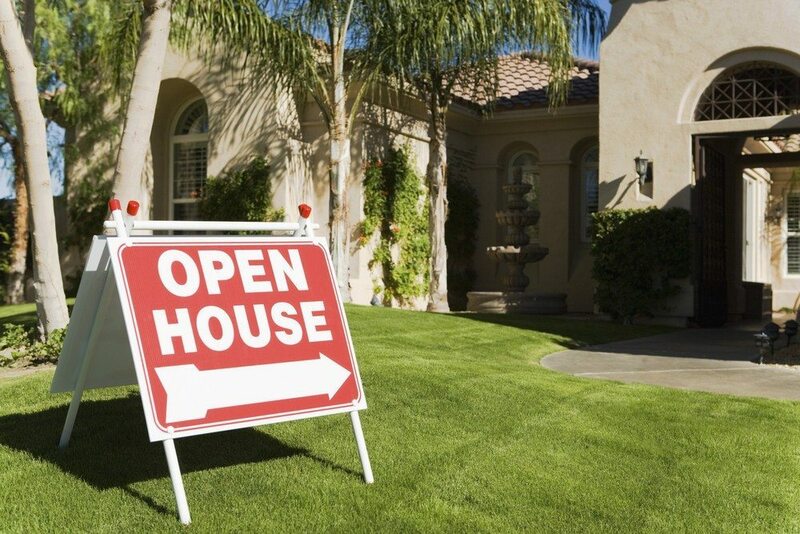 Open house image via Shutterstock. You can mix business and pleasure. Many agents took this route and said to make the open house Super Bowl themed. Lisa Finks says she’s going to have a “guess the final score game for a $50 prize.” Other agents are planning to provide snack foods and play the game for buyers who’d rather watch the game while their spouse tours the house. You can mix business with pleasure. Integrate the #SuperBowl with your open house. It’s not always about “winning.” Over the past year, people have become aware of the phenomenon called “the glorification of busy,” and how it can stop us from unwinding and enjoying the other parts of life. Cancel the open house! Your business won’t suffer because of a day off. Will you be sitting this one out or gearing up for another play this Sunday? Share your plans with me in the comments below.